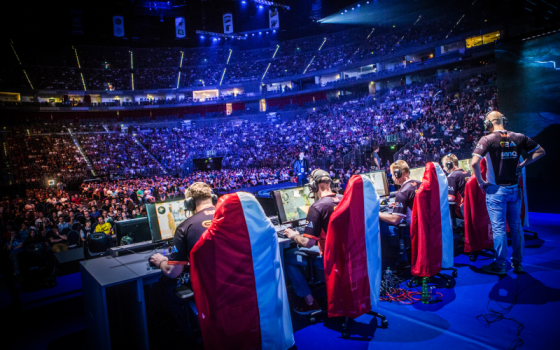 ESports Managers have become key members of eSports teams. As described by Ubisoft Entertainment, the eSports Manager takes part in developing, implementing, executing and reporting on competitive strategy and tactics. The role works closely with internal cross-functional business teams, brand, development/studio and marketing teams as well as external partners and vendors to ensure the success of the program. Esports Managers also help with events, program marketing, and supporting community growth and activity. To gain the skills needed to be successful in this emerging career field, aspiring eSports Managers now have the option to earn an Esports Management degree at a school known for its game design and interactive media programs—Becker College. Just months ago, the school became the very first college in the U.S. to offer an official eSports Management degree. The eSports Management curriculum emphasizes the business side of the industry. Students in the program be “immersed in the culture and climate of esports, and will gain skills in planning and strategy, event management and promotion, business development, game technology, marketing, and finance.’ Students will also “explore the dominant game genres that make up the industry.” Fortnite, League of Legends, and Overwatch are just a few. In addition to being the only college in the U.S. to offer an eSports Management degree, Becker College is the only college in Massachusetts to offer varsity eSports scholarships. Enrollment for first-year management students begins in the Fall of 2019. “Becker College Announces First-in-Nation Esports Management Degree.” Becker College, Becker College, 21 June 2018. Web. 15 Sep. 2018. Ubisoft.com, Ubisoft Entertainment, 2018. Web. 15 Sep. 2018.